Decor: White, sparkly and so sophisticated. 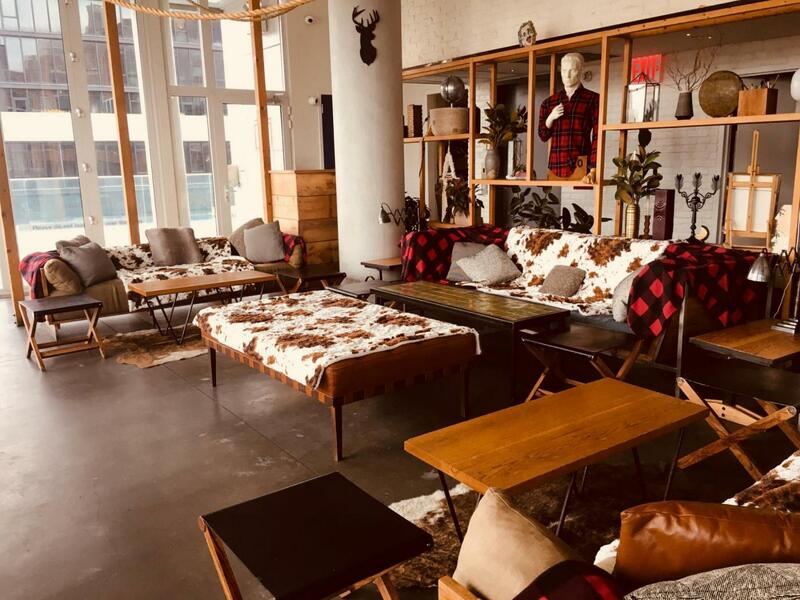 Enjoy a classic New York winter with snow dusted branches, extravagant seasonal floral arrangements, fuzzy blankets and stacks of pillows… all making for a super cozy evening at the Winter Room. Offerings: Specialty menu highlights warm cocktails and apres-ski dish inspiration. Perfect For: A glamorous, enclosed Central Park view. Decor: Moxy’s 2nd floor has turned into a pink wonderland, with pink everything. Check out a giant teddy bear, piano, grand fireplace, grandfather clock, holiday tree, menorah and more. 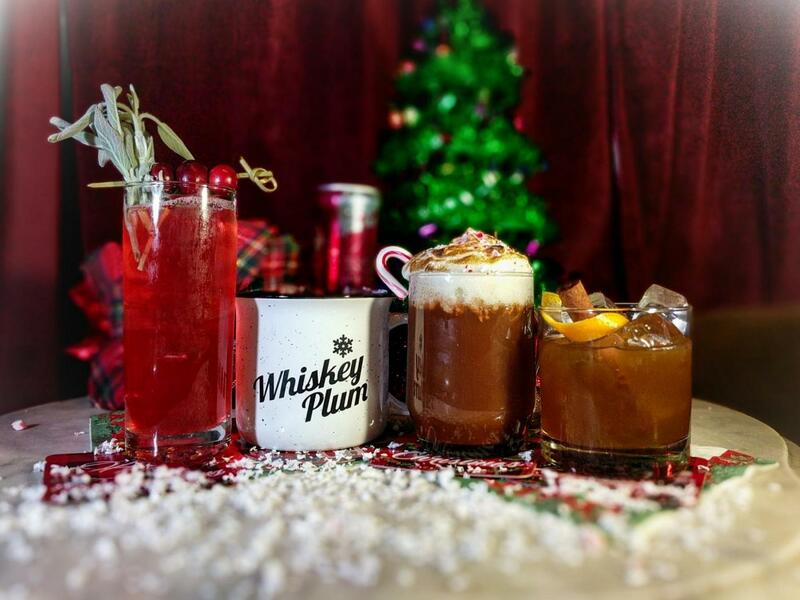 Offerings: A limited edition cocktail menu features mulled wine, hot toddies and pink hot chocolate at Bar Moxy. Hotel guests can leave behind their mark with an ornament given at check-in to personalize and add to the festive tree. Perfect For: People who love pink and need to add to their Instagram grid. 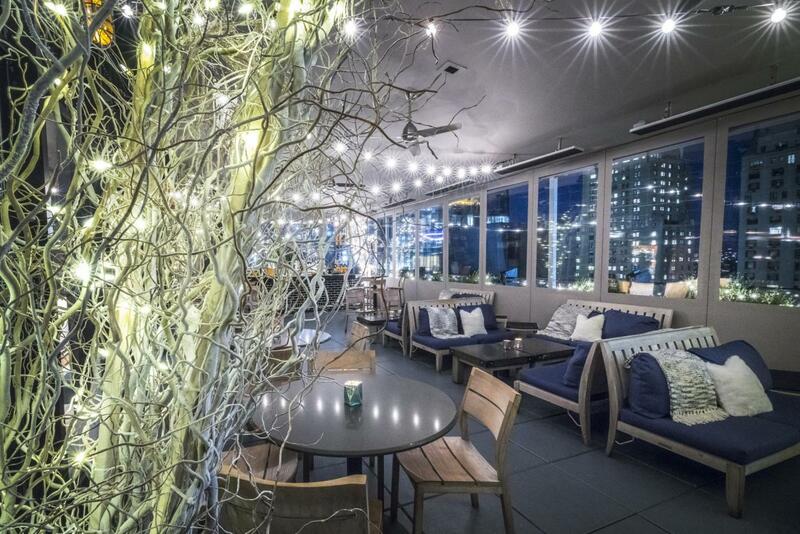 Decor: The VNYL’s main floor is truly an indoor winter wonderland. Enjoy a snowy forest-like atmosphere with (LED) stars in the sky and a sheet of snow covering everything from the ground to the treetops. Offerings: Specialty seasonal cocktail game on point. Check out Winter’s Milk (Rum, Rumchata, Lime, Simple Syrup, Prosecco), Dance of the Sugar Plum Fairy (Bourbon, RedBull Plum Twist, Hibiscus, Lemon) and Passion Carrol (Tequila, Lime, Passion Fruit, Sherry,Hibiscus). Perfect For: Fans of downtown chic, not looking to fight midtown holiday traffic. Hotel Indigo Lower East Side (15th floor), 180 Orchard St. Decor: Mr. Purple has been transformed into a funky après-ski lodge in the downtown sky. Vivid purple deer heads, digital fireplaces, and plenty of blankets for cuddling. Step outside onto the terrace and guests will find a larger-than-life snow globe space decked-out in Veuve Clicquot themed ski lodge decor, complete with its very own namesake champagne bar. 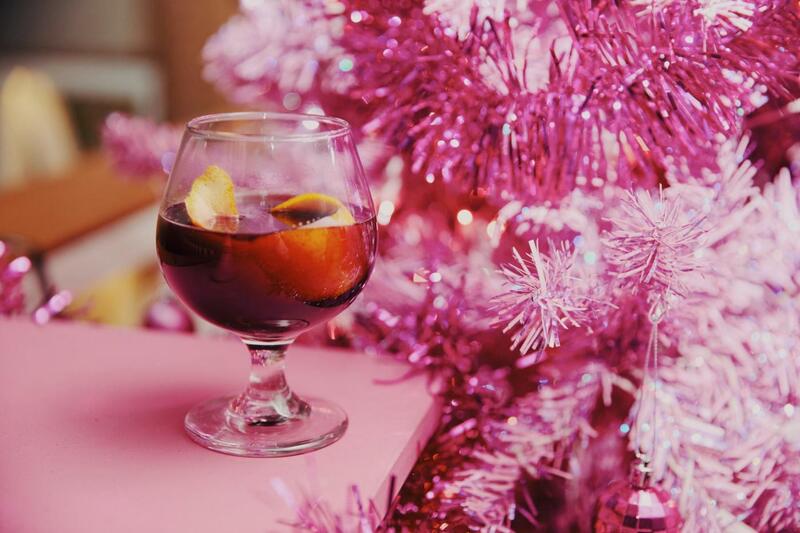 Offerings: Enjoy festive cocktails on the pop-up menu, including seasonal hot sips and specialty Veuve Clicquot champagne cocktails, plus plenty of chocolate and cheese fondue to warm your soul. Perfect For: People who love winter, skyline views, amazing Instagram shots and good champagne. Now What: The Clicquot Chalet holds approximately 25-50 people so reservations (with a table minimum) are highly encouraged via Mr. Purple’s website. Walk-ins will be accepted based on availability. And if you’re looking to throw a winter bash, Clicquot Chalet at Mr. Purple is available for private events. Reach out to request more info at www.mrpurplenyc.com. Decor: Think your eccentric grandmother’s living room mixed with holiday decorations. All the tchotchkes, holiday colors, and decorations that can fit, with no theme in sight – it’s fun, it’s festive and it’s tacky! 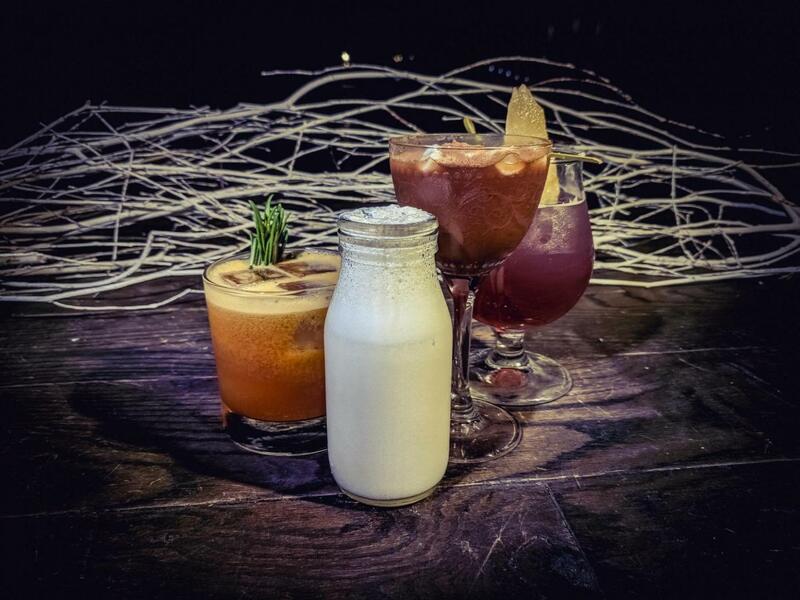 Offerings: Specialty seasonal cocktails including Red Ryder with Sagamore Rye, Red Bull Plum Twist & cinnamon or the Oh, F…udge! with Hennessy VSOP, Green Chartreuse, hot chocolate, marshmallow meringue & peppermint candy. Perfect For: All the tacky Christmas sweater aficionados who know better than to wait in line at Rolf’s. 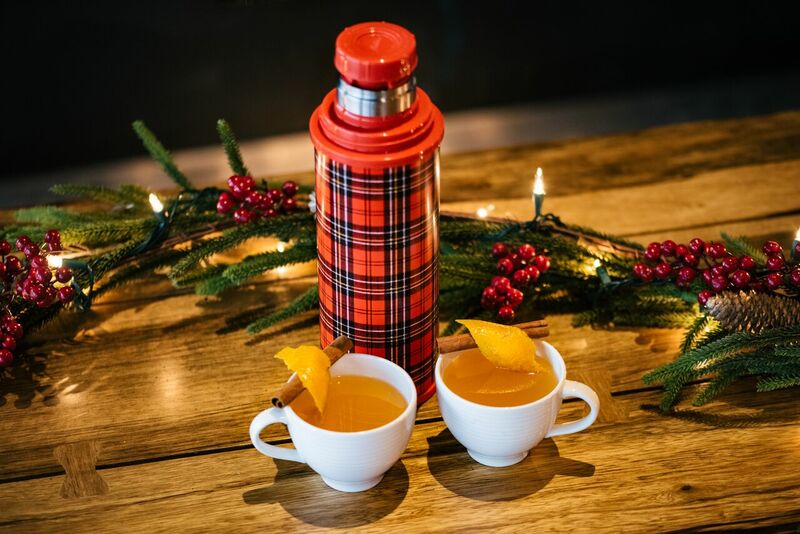 Enjoy aprés friendly dishes such as Hefeweizen Beer Fondue, Short Rib Pumpkin Ravioli and a Gingerbread dessert with cream cheese frosting dips while sipping on a variety of yummy holiday cocktails like Bourbon Hot Cider served in a vintage thermos at the transformed Apres Ski Lodge. No ski lodge would be complete without a shot ski, and you won’t be disappointed with the mixed seasonal shots offered during the season.